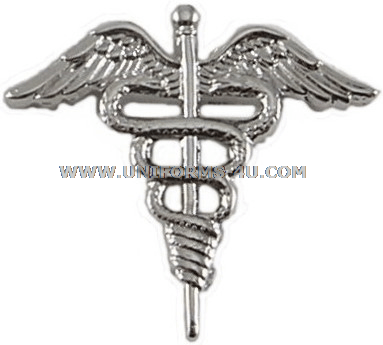 A silver caduceus was used as a Warrant Officer’s Staff Corps device for Physician’s Assistants and Technical Nurse Warrant Officers, but both of these Chief Warrant Officer designators—754X for Physician’s Assistant, 756X for Technical Nurses—were phased out in the early 1990s. 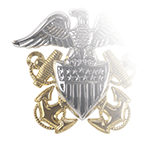 The tasks handled by both of these CWO specialties were give to Commissioned Officers in the Medical Corps and the Nurse Corps. 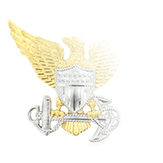 The Navy’s Commissioned Warrant Officer Physician’s Assistant Program was designed to enable non-physicians to serve as primary health-care providers by acting as “physician extenders,” augmenting the capabilities of the Navy’s physicians by delivery primary patient-care services under their guidance. 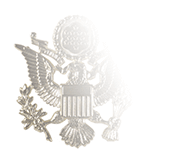 The CWO Physician’s Assistant program lasted 60 weeks, with graduates commissioned in the grade of Chief Warrant Officer (now CWO2). 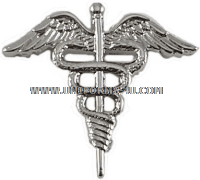 Technical Nurse Warrant Officers used the same insignia as Physician Assistants beginning in 1991. 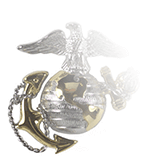 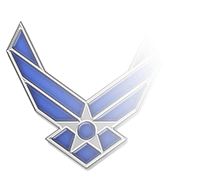 This CWO specialty was somewhat unique in that, unlike every other CWO designator, the Technical Nurse candidates were competing only against other candidates in the 756X designator.